CAVELOSSIM: Rachol Veterans registered a solitary goal win over Loutolim Veterans to enter the quarter-finals of the 1st all Goa late Joseph Alves Veterans soccer organised by Cavelossim Villagers forum, at Father Drustian Wellington ground, Cavelossim, on Monday. Rachol Veterans were the better team in the initial stages and they missed a chance to score in the 10th minute when medio Matty Dias struck a right footer from the edge of the box but the rival goalkeeper Melvy Fernandes blocked the ball. Loutolim took time to settle down and were able to keep Rachol strikers at bay from scoring any goals as the first-half remained goalless. After resumption, Rachol increased the pressure and in the 49th minute, Rachol’s Richard Rebello’s ground shot was pushed away to safety by Loutolim keeper. Rachol’s persistent efforts were finally rewarded as they netted through Matty Dias in the 55th minute. 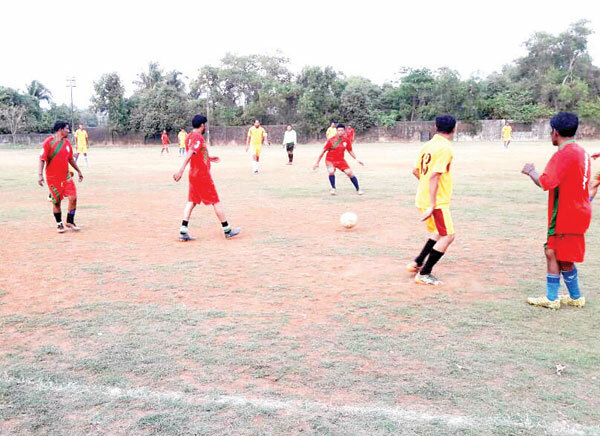 Loutolim piled up the pressure in the closing minutes but were not able to find the equaliser .